Abhishek Singh, Manager of the Khelo Rugby Programme on our latest initiative. 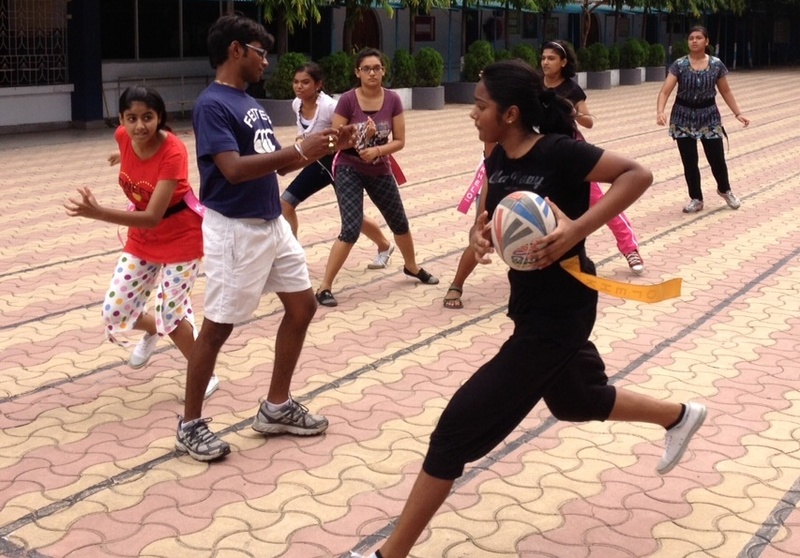 Although girls make up about 20-25% of our regular Khelo Rugby participants we’ve long wanted to increase this percentage and give them more of a chance in playing. Funny our parent Jungle Crows Women’s team is in a lot of ways more successful than the Men’s team, having won a couple of national tournaments, so we know the great potential for girls in our sport. 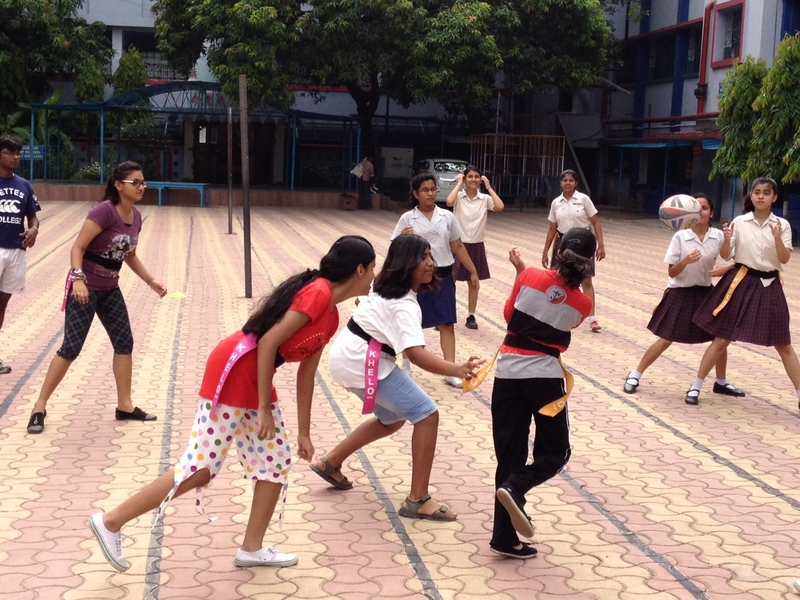 My first dedicated training in a girls school was this morning at Shri Shikshayatan School in central Kolkata. At the same time I was excited and nervous to be taking this training. I’m not really used to dealing with sophisticated school girls! At 8.00am there was only one girl there, not a very good start! But very soon a good group of girls turned up and we kicked off on our training session. Starting with fun games and activities to keep everyone interested we then moved into a quick game. Not bad 15 minutes after seeing a rugby ball something like a game was going on. 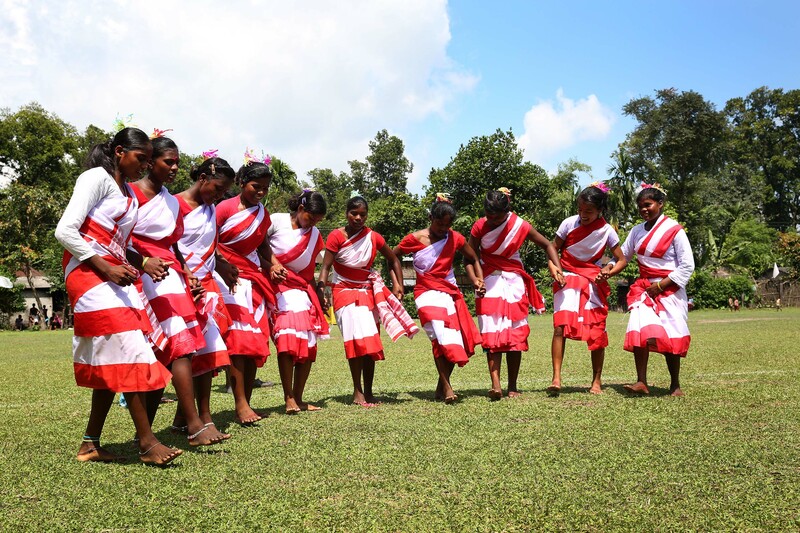 We worked a bit on passing after that and even had a cheerleading song in between – they’re a talented bunch at Shri Shikshayatan. Good session with plenty of fun and learning, helped out by one of our volunteers from UK Curt who did a great job. This is the second girls school we’ve taken Khelo to. Our plan is to introduce Khelo Rugby in at least 12 schools across the city in the coming two months. We also aim to educate the teachers of the school about rugby. 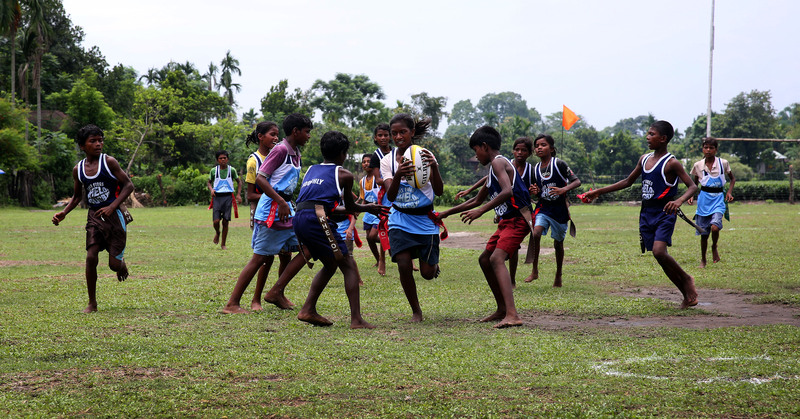 We have planned workshops for them to help them understand the game and the Khelo programme. Once we get all the schools playing we’ll host a rugby festival to bring them all together and include some of our other communities. 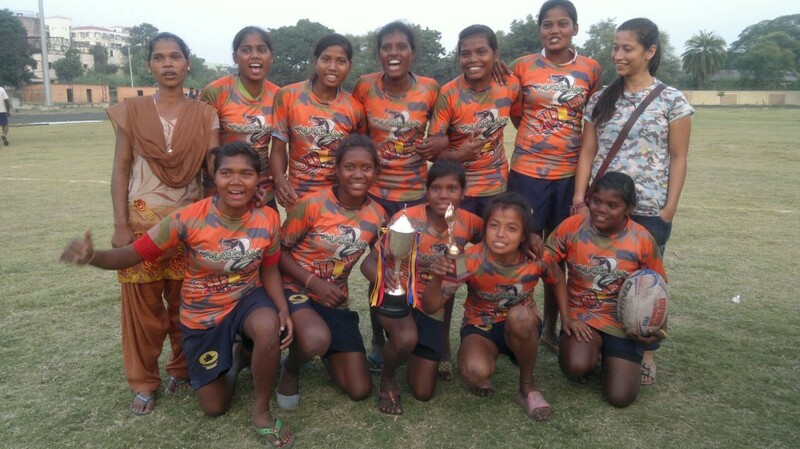 We hope with these efforts to encourage more girls into rugby and sport, develop a mainstream element within Khelo Rugby and increase the Khelo community across Kolkata even further. Exciting times for us!